These are few of my new favorite Essie Pastel and Neutral Nail Polishes I added to my nail polish collection. I also received my adorable Hello Kitty ring and bracelet from my lovely students, they know I have a Hello Kitty obsession. I love my girls! The Essie nail polishes you see are: FIJI, ETERNAL OPTIMIST, and CHINCHILY. 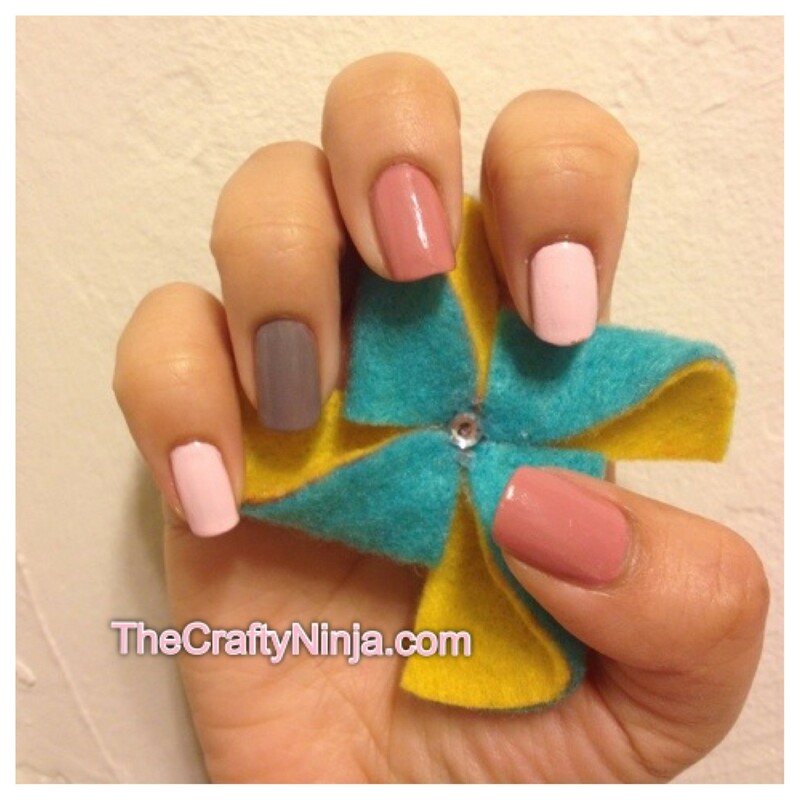 Check out my felt pinwheel brooch/hair clip tutorial here.